Tequesta, Florida is a welcoming, family-oriented community with small-town character and a vibrant quality of life. 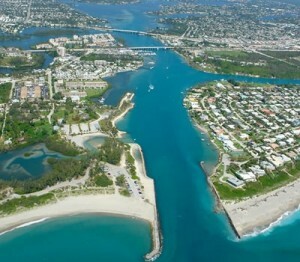 The town is seated amongst the many tributaries of the Loxahatchee River, allowing for an abundance of luxurious riverfront lots, and making Tequesta waterfront properties some of the most desirable in northern Palm Beach County. Between the river and the ocean, this unique town has more opportunities for waterfront properties than most other towns in Palm Beach County. Fishermen and recreational boaters will find peace on the river, as well as ocean access from many docking and boat launch locations. Tequesta real estate offers a quiet, cozy retreat full of historical interest and artistic panache. Historic homesteads, the Lighthouse Gallery and School of Art, along with great restaurants, quaint shops and boutiques add a unique, local spirit to this charming area.